4 Bedroom Semi Detached House For Sale in Camberley for Asking Price £409,950. Carson & Co are proud to present this immaculate family home set within the tranquil location of Frimley. 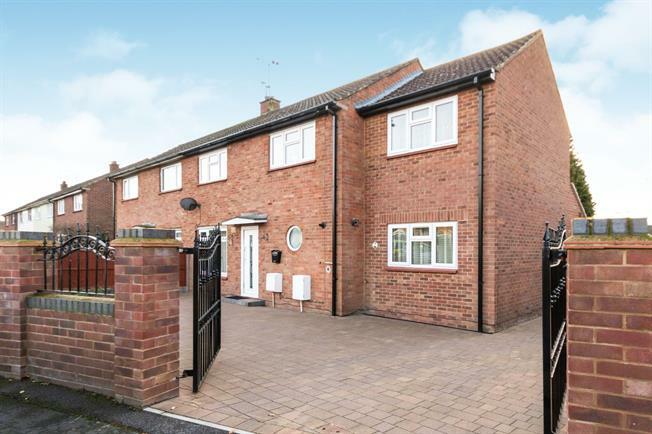 This home offers spacious driveway parking to the front and to the side, with direct access to the large well-maintained rear garden. The ground floor comprises a family room, a kitchen/dining room, a lounge, shower room and a utility room. Whist to the first floor, there is a family bathroom and four good sized rooms with the master bedroom especially benefiting from an ensuite and walk-in wardrobe. The property also benefits from being walking distance to a plethora of facilities such a local shops, bus stops as well as excellent school catchments.